Places Where Kids Eat Free In Darwin | Monday to Sunday! If you are looking for places to eat in Darwin, here is our list of places where kids eat free in Darwin! Dining out as a family has become an expensive endeavour that many people don’t get to enjoy as regularly as they’d like. By the time the bill arrives at the end of the meal, we’re left feeling rather discouraged to embark outside the kitchen anytime soon. Although there’s a simple solution to this issue right under our noses. Scattered throughout Darwin and one of our favourite things to do in Darwin, are meal deals of all shapes and sizes, including the vastly popular ‘Kids Eat Free’ promotion. These offers are making the weekly family-restaurant experience much more realistic by offering to feed (and sometimes entertain) the kids at zero cost. What’s not to love? Don’t spend your time searching the internet and comparing these deals – we’ve gone and done it for you. Check out our guide below for Darwin’s most popular ‘Kids Eat Free’ offers. 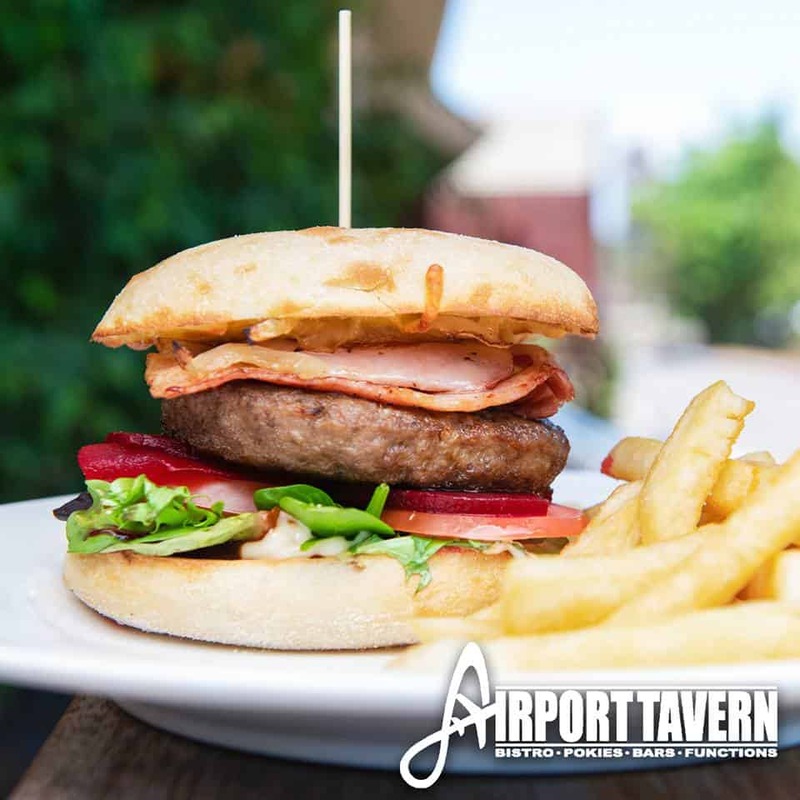 The Airport Tavern’s ‘Feed The Family’ promotion every Monday offers great value. For $50, receive two main meals and two kid’s meals. Children can choose from fish and chips, spaghetti bolognese, chicken nuggets, cheeseburger sliders, steak, or mini pizza. On any other day, kid’s meals are $9 each. Kids eat free every Monday from 5 pm at the Groove Train. When an adult main meal is purchased, redeem a complimentary kid’s meal. 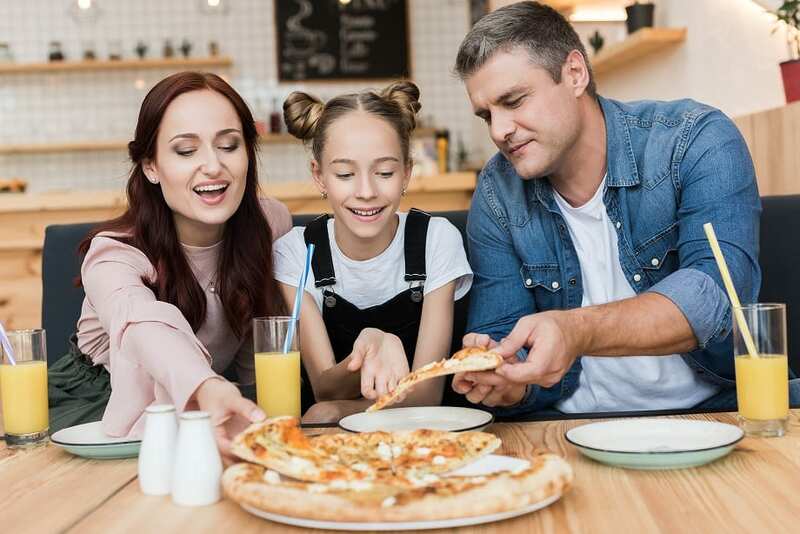 Children can choose between items such as pizza, burgers, chicken tenders, fish and chips, calamari and chips, spaghetti bolognese, or penne Napoletana. The meals also come with dessert. Available from Monday to Friday, kids eat free at Cazaly’s Palmerston. To trigger this offer, simply purchase an adult main meal. Children can then choose from either crumbed chicken tenderloins, fettuccine carbonara, fettuccine bolognese, fish and chips, or chicken parmigiana. Conditions apply – this offer is only available to kids under the age of 5 years. On every other night, kid’s meals are $10 each. The venue also has a $15 curry night on Monday nights. Kids eat free at the Berry Springs Tavern every Monday between 5:30 pm and 7 pm through their ‘Kids Eat Free’ promotion. Purchase an adult main meal to receive a complimentary kid’s meal. Children can choose from mini cheeseburgers, fish and chips, pasta bolognese, chicken nuggets, hot dogs, bangers and mash, or veggie smash. This offer only applies to kids under 12 years of age. On every other day, kid’s meals are between $5.50 and $9 each. Mondays and Tuesdays are for the kids over at the Hog’s Breath Cafe. When you purchase an adult main meal (valued over $20), you are welcome to redeem a free kid’s meal. Children can choose from chicken nuggets, cheeseburgers, fish and chips, pasta, steak, or chicken. To top it off, kids will also receive a free drink and ice cream to go with their meal. Conditions apply – this offer is only available at selected Hog’s Breath Cafes. Address: various venues. Check with your local Hog’s Breath to see if this offer is available. Kids eat free in Darwin at the Tracy Village Social and Sports Club every Monday and Tuesday. To trigger the promotion, simply purchase one adult main meal and redeem one free kid’s meal. Kid’s have the option of either chicken nuggets and chips, fish and chips, or pizza and chips. This offer is only available for kids 12 years and under. The venue also offers a $20 meal deal every Monday and Tuesday. Head over to the Noonamah tavern on either Sunday or Monday for their ‘Kids Eat Free’ promotion. To trigger the offer, simply purchase an adult main meal and claim a complimentary kid’s meal. Children can enjoy classic dishes such as cheeseburgers, chicken nuggets and chips, or fish and chips. The meals also include a free drink. This deal only applies to kids under the age of 12 years. Head over to the Hog’s Breath Cafe for their ‘Kid’s Eat Free’ promotion every Monday and Tuesday. Purchase a full priced adult’s meal (valued at over $20) to receive a free kid’s meal. Children can choose from chicken nuggets, cheeseburgers, fish and chips, pasta, steak, or chicken. To top it off, kids will also receive a free drink and ice cream to go with their meal. 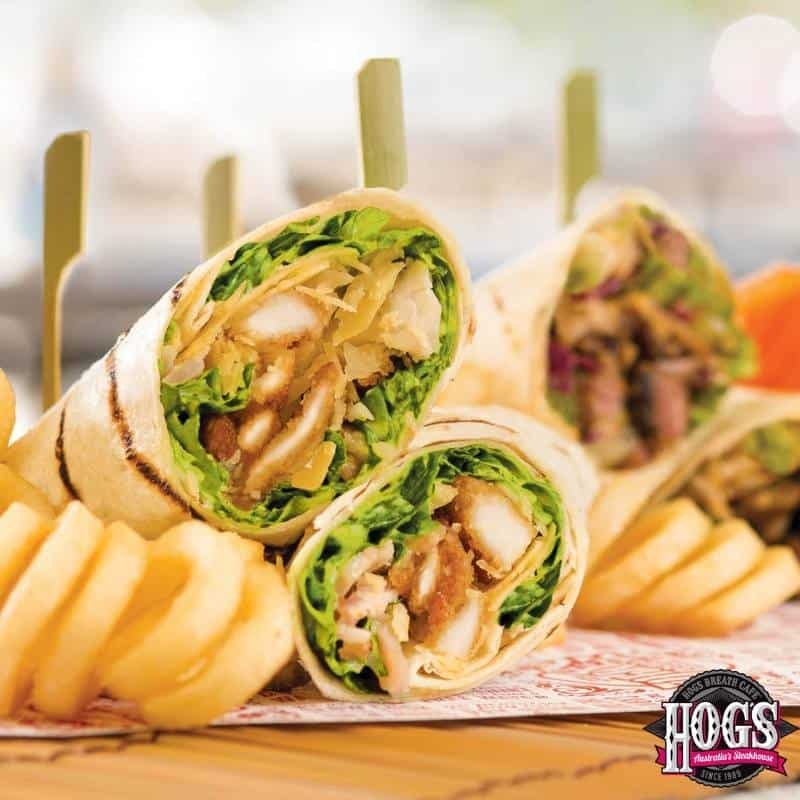 Conditions apply – this offer is only available at selected Hog’s Breath Cafes and to kids under the age of 12 years. Every Monday and Tuesday, children eat for free at Tracy Village. Purchase one adult main meal and receive one complimentary kid’s meal. Kids can choose from either chicken nuggets and chips, fish and chips, or pizza and chips. This promotion is only available for kids 12 years and under. The Caddies Restaurant in the Palmerston Gold Course offers their ‘Kids Eat Free’ promotion every Tuesday. Kids can choose between pasta bolognese, creamy cheesy pasta, chicken nuggets and chips, fish and chips, or a hot dog and chips. This offer is only available to kids under the age of 12 years. The venue also offers $17 steaks on Tuesday nights. Tim’s Surf And Turf offer free children’s meals before 6:30 pm every Tuesday, Wednesday, and Thursday. Order one adult main meal to redeem one complimentary kid’s meal. Children have the choice of either crumbed fish and chips, steak and chips, spring rolls and chips, chicken nuggets and chips, or lasagna and chips. On every other night, kid’s meals are $9.50 each. Kids under 10 years of age eat for free from Crustacean’s kid’s menu when an adult main meal is purchased. Children can choose between crumbed fish and chips, chicken nuggets, calamari, lasagna, crumbed prawns, crab claw, vegetarian spring rolls, steamed vegetables, garden salad, or chips. On every other day, kid’s meals range between $5.50 and $7.50. Conditions apply – small meals don’t trigger this promotion. Running from Tuesday to Thursday, Tim’s Surf and Turf are offering free kid’s meals before 6:30 pm. To trigger the offer, simply order one adult main meal and receive a free kid’s meal in return. Children can choose from crumbed fish and chips, steak and chips, spring rolls and chips, chicken nuggets and chips, or lasagna and chips. Kid’s meals are $9.50 each on every other day of the week. Cazaly’s Palmerston offers their ‘Kids Eat Free’ promotion from Monday to Friday for kids under the age of 5 years. Simply purchase an adult main meal and receive a free kid’s meal. Children can choose from either crumbed chicken tenderloins, fettuccine carbonara, fettuccine bolognese, fish and chips, or chicken parmigiana. On every other night, kid’s meals are $10 each. The venue also has schnitzels from $14 on Wednesday nights. Tim’s Surf And Turf offer free kid’s meals from Tuesday to Thursday every week before 6:30 pm. To trigger this offer, purchase an adult’s main meal and receive a kid’s meal on the house. Children have the option of crumbed fish and chips, steak and chips, spring rolls and chips, chicken nuggets and chips, or lasagna and chips. Kid’s meals are $9.50 each on every other day of the week. All week long, Cazaly’s Palmerston offers their ‘Kids Eat Free’ promotion from Monday to Friday. Purchase an adult main meal and collect a complimentary kid’s meal. Children can enjoy classics such as crumbed chicken tenderloins, fettuccine carbonara, fettuccine bolognese, fish and chips, or chicken parmigiana. Kid’s meals are $10 each every other night. This offer is only available to kids under the age of 5 years. Kids eat free every Friday over at the Palmerston Sports Club. Children can choose between classics such as chicken nuggets and chips, linguini bolognese, fish and chips, pizza, steak, cheeseburgers, chicken parmigiana, or vegetables and mash. All meals also come with a soft drink and dessert. Colouring in packs are available for purchase to keep the kids entertained. On every other day, kid’s meals are only $8 each. Head over to the Crustaceans Steak and Seafood Restaurant for their ‘Kids Eat Free’ promotion. Kids under the age of 10 years can choose between crumbed fish and chips, chicken nuggets, calamari, lasagna, crumbed prawns, crab claw, vegetarian spring rolls, steamed vegetables, garden salad, or chips. Otherwise, kid’s meals range between $5.50 and $7.50 every other day of the week. Conditions apply – small meals don’t trigger this promotion. Kids eat free every week-night at Cazaly’s Palmerston. Order an adult main meal and collect a free kid’s meal. Children have the option of either crumbed chicken tenderloins, fettuccine carbonara, fettuccine bolognese, fish and chips, or chicken parmigiana. On every other night, kid’s meals are $10 each. Conditions apply – this offer is only available to kids under the age of 5 years. On Friday nights, the venue also offers seafood dishes from $15. Kids eat free every Saturday at the Humpty Doo Tavern. The promotion is triggered when parents purchase an adult main meal. Conditions apply – this offer is only available to kids 12 years and under. Children eat for free every Sunday at the Casuarina All Sports Club from 6 pm to 9 pm. When parents purchase an adult main meal they can redeem a complimentary kid’s meal. Children can choose between popular items such as fish and chips, cheeseburgers, chicken nuggets, pork sausage, steak, pizza, chicken wings, or spaghetti bolognese. Kids also receive a free ice cream or jelly. This offer is only available for kids aged 10 years and under. 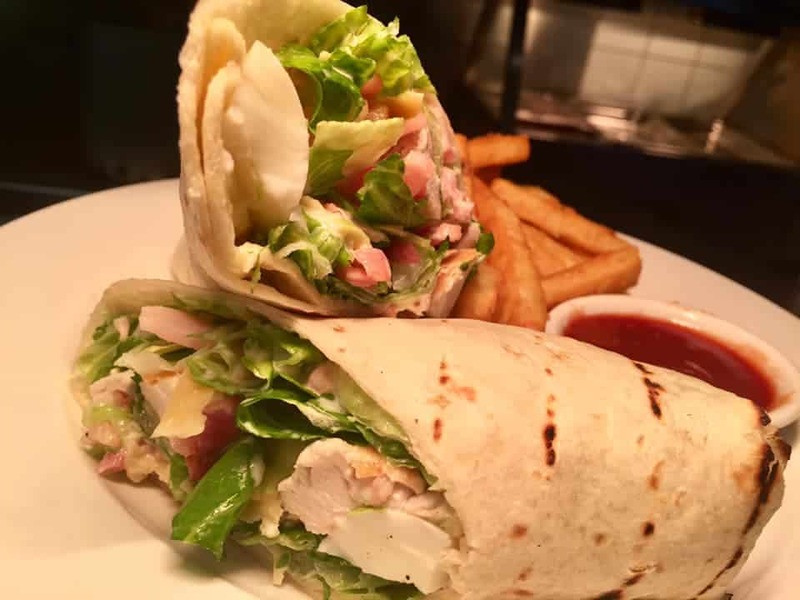 Kids eat free at the Noonamah Tavern every Sunday and Monday when an adult main meal is purchased. Children can enjoy favourites such as cheeseburgers, chicken nuggets and chips, or fish and chips. All kid’s meals also come with a soft drink. This deal only applies to kids under the age of 12 years. Previous postPlaces Where Kids Eat Free in Perth | Monday to Sunday! Next postPlaces Where Kids Eat Free In Melbourne | Monday to Sunday!